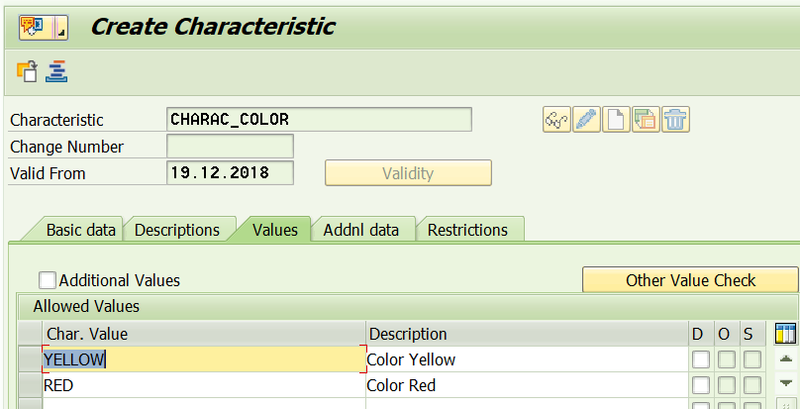 As an end user, you can make use of the variant description generation functionality (available by default) to generate descriptions for the variants according to the characteristic values. The descriptions so generated make it easier for the users to distinguish between variants of the same article, by checking the descriptions. 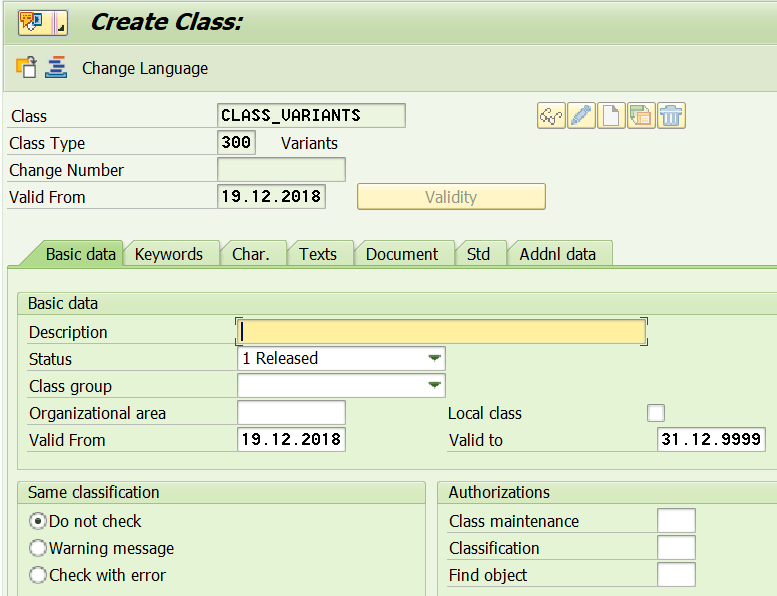 The functionality is integrated into the classification and variants handling scenario in Product Master. 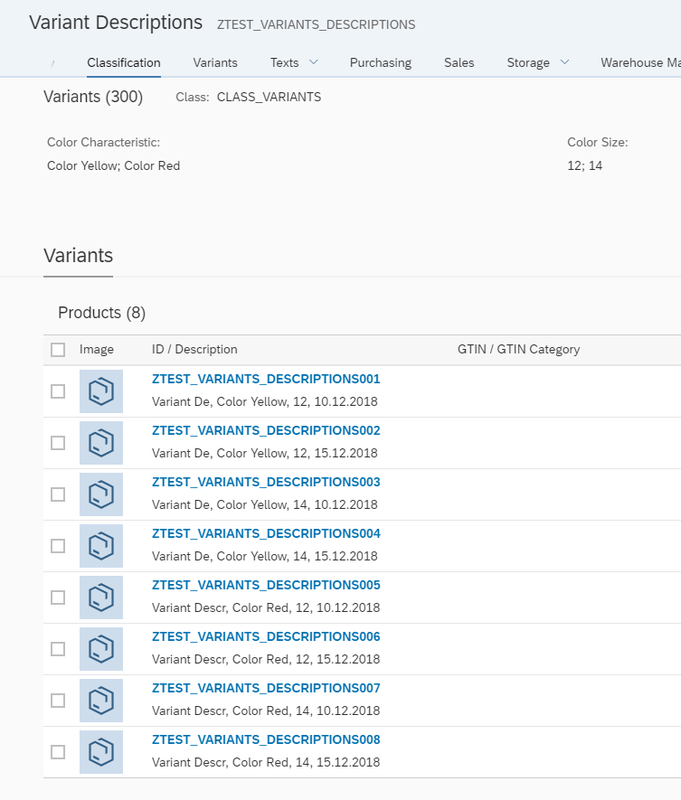 Let us go through the prerequisite steps to create the desired characteristics to make use of the automatic variant description generation feature. 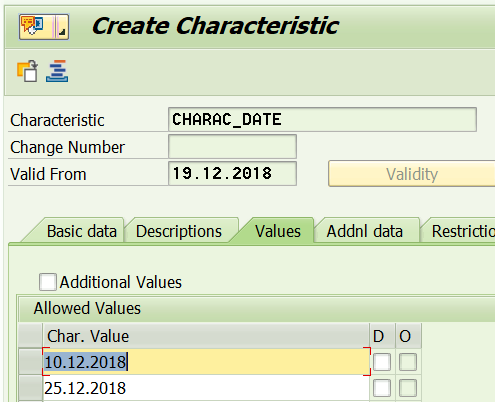 We must have available, the characteristics which we want to use to fill the descriptions, the class to which we can assign the characteristics and then use these characteristics and classes to create the variants. We then create a new class (Class_Variants) using transaction CL01, making use of the new characteristics created now, and save it. 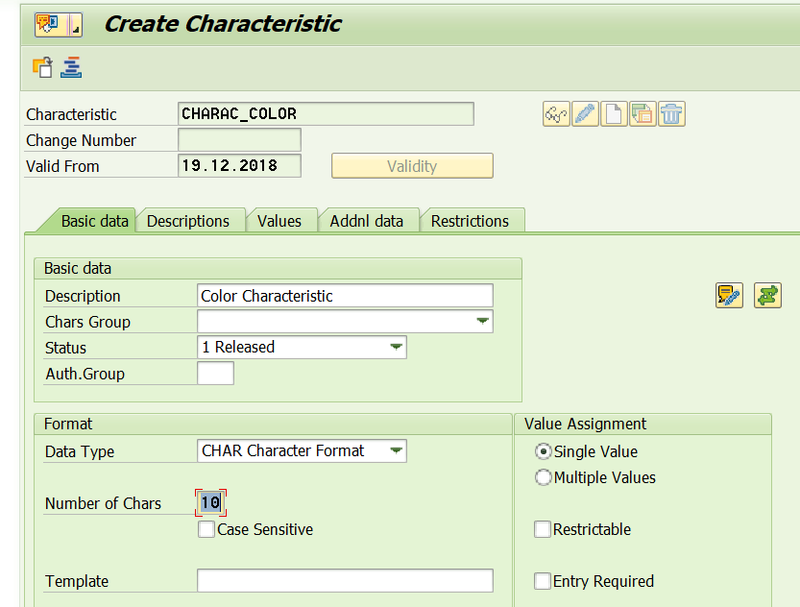 We are now ready to use the characteristics and class for our variants on the UI. 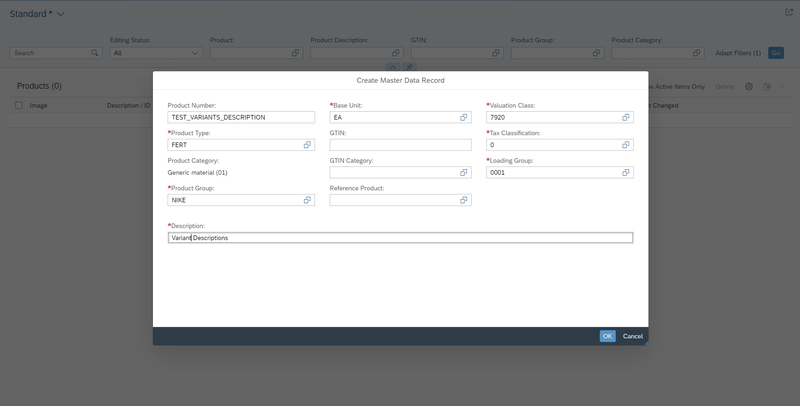 We logon to the ‘Manage Product Master Data’ application and create a new Generic Article. We fill the mandatory fields as required. 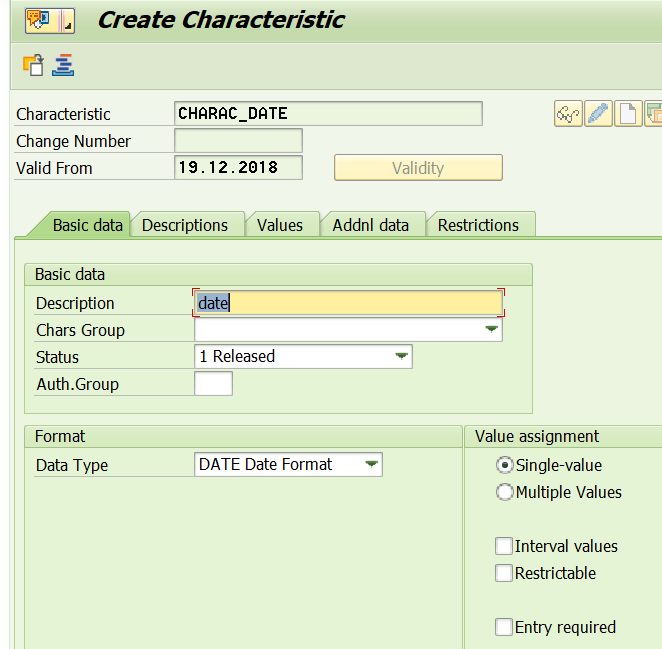 In the ‘Classification’ facet we choose the newly created class and assign the characteristics according to which we want to create the variants for the generic article. Finally, we click on save. In display, we see that the variants are now created with the required descriptions.